I'm always on the hunt for perfect facial products. Rarely one company offers it all, however these guys are bitting at the heels of that honour. 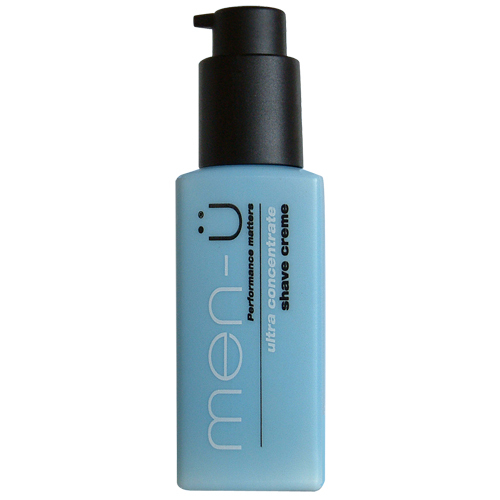 The London based company, going by the name of Men-u, release a phenomenal range of ultra effective, portion pump controlled, natural products. I picked up the moisturiser and facial wash and have been loving them! The very clean and crisp products get you, and keep you looking your Sunday best, everyday. It is refreshing to notice an absence of that clinical, chemical feel found in so many products these days. As for the concentrated shaving cream, I never actually shave to the skin, so I have had no need to take it for a spin, but if he's as reliable as his brothers, you can't loose.